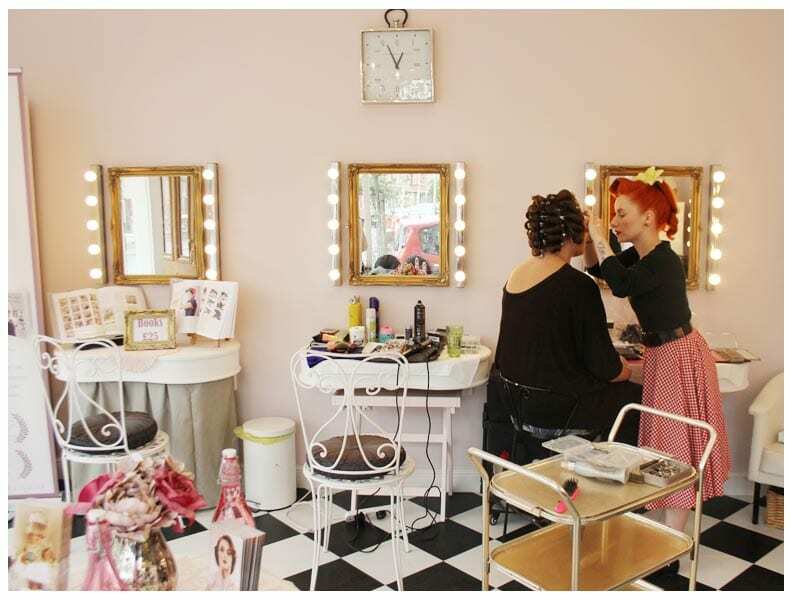 My Wedding Hair by The Vintage Beauty Parlour: The Vintage Beauty Parlour is a pretty little salon nestled away in the leafy suburb of Chorlton, Manchester. 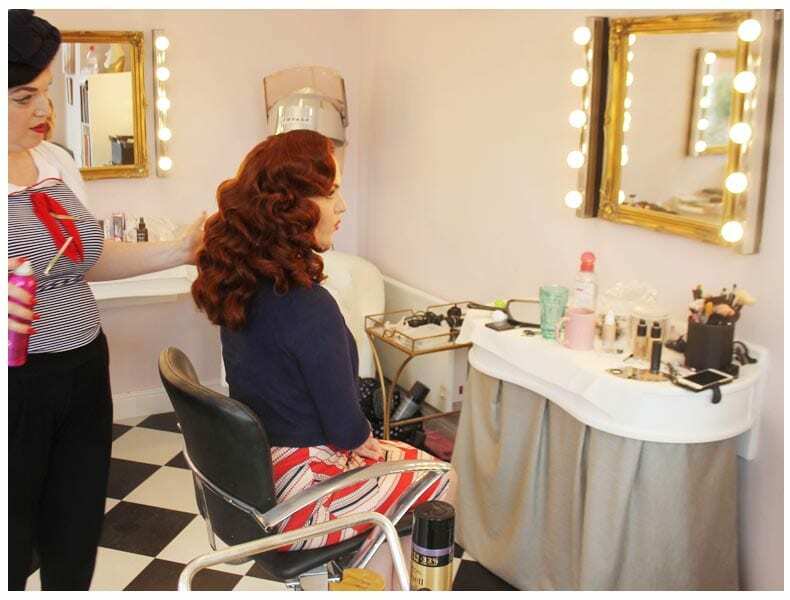 The Vintage Beauty Parlour is owned by the legendary vintage hair and make up artist Bethany Jane Davis. 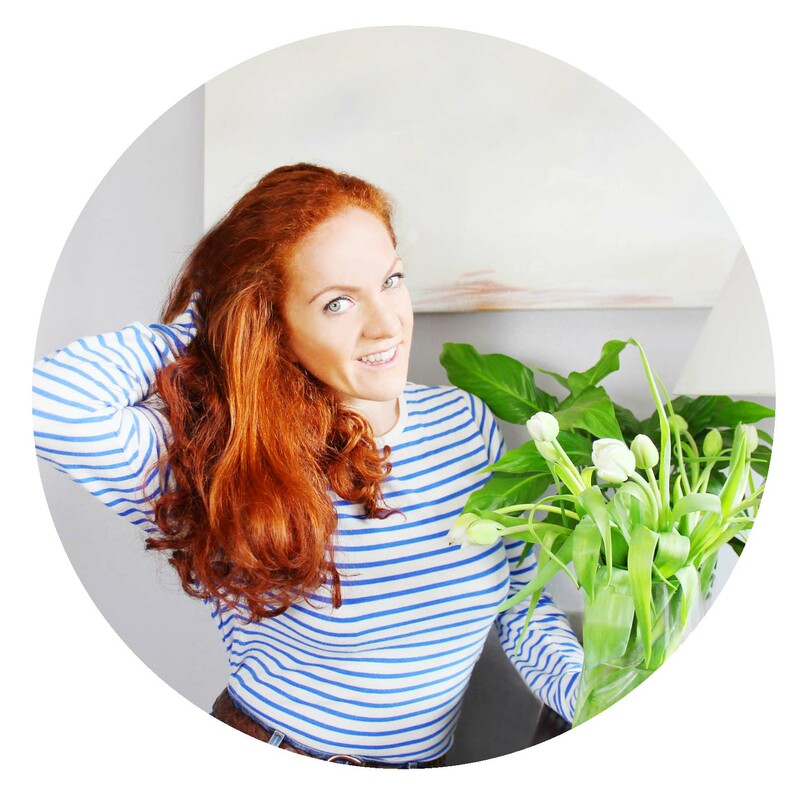 Bethany works there with the help of a few seriously talented ladies, her lovely husband and little pug. The Vintage Beauty Parlour had been on my radar for a while having seen so many lovely ladies with perfect hair at various vintage events including the National Vintage Awards and Rhythm Riot, it seemed like everyone I ever complimented had been transformed by the legendary Bethany Jane Davis– so when it came to my wedding hair, I knew who to call! 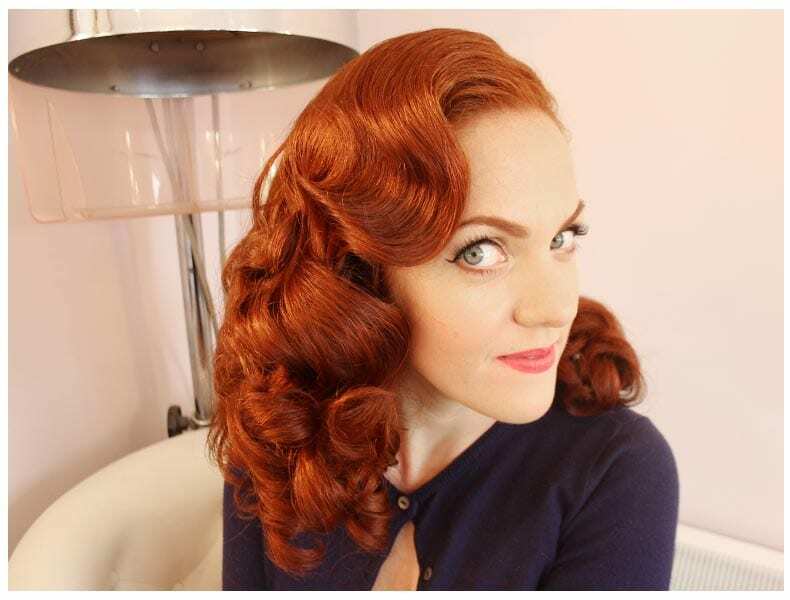 Inspiration: I had a fairly clear idea of how I wanted my hair styling, having seen the Hollywood waves Bethany had done for her previous clients on The Vintage Beauty Parlour Facebook Page. I also knew that the kind of Rita Hayworth style would suit my dress as I had an A-Symmetric strap, so would look best with my hair parted and clipped at one side with cascading curls at the other. My bridesmaids were all having some element of braid, so Theresa had her hair in a much more grecian style which look ed beautiful and would compliment the drape in the bridesmaids dresses perfectly. My Mum wanted a classic 60’s bob that curled out and the bottom. 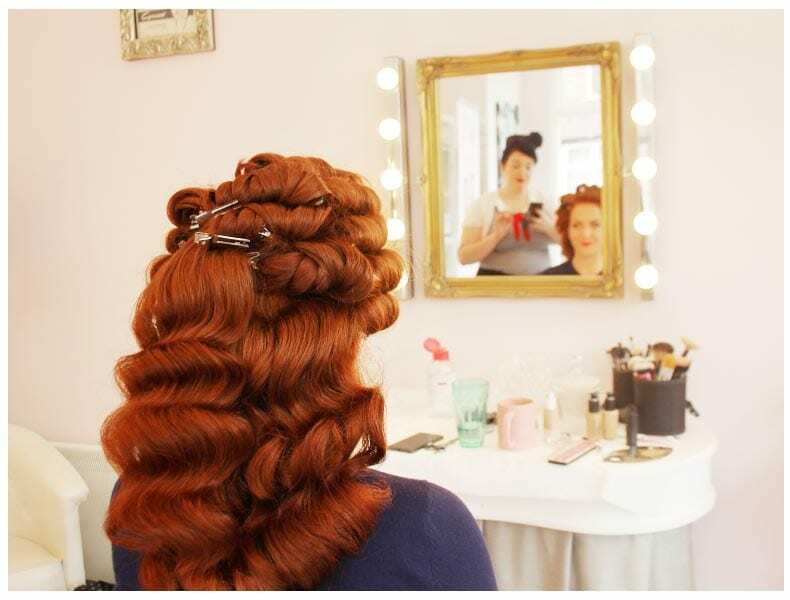 Hair trial: Unfortunately having bridesmaids dotted around the country it was impossible for all of us to be there. Thankfully Theresa and Mother dearest could join me! 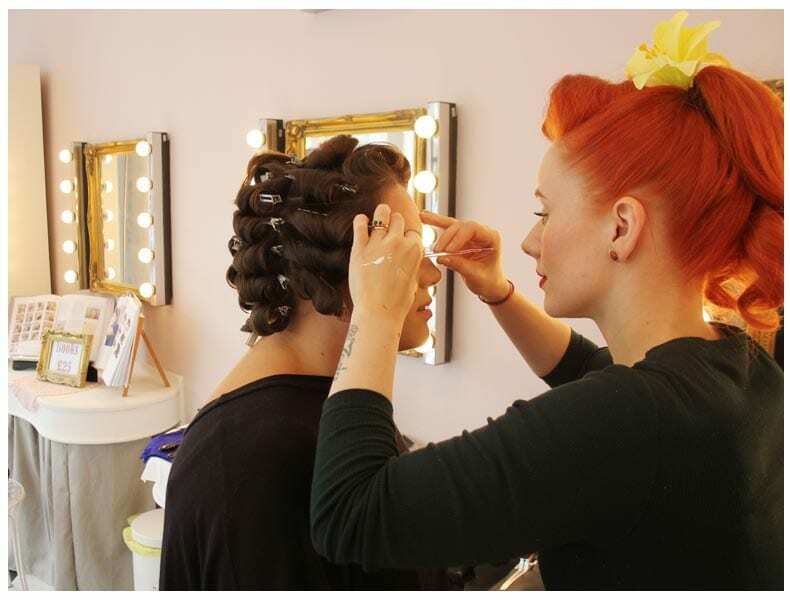 I also managed to coincide my wedding hair trial with my birthday, so it was a lovely treat to get pampered. Upon arrival we talked through our inspiration with Bethany and then she set to work. Having really thick, curly hair I’m always a little nervous that stylists won’t be able to control the beast, let alone make it stay in any kind of style for an entire day/ evening! Bethany is an absolute pro of the highest order! 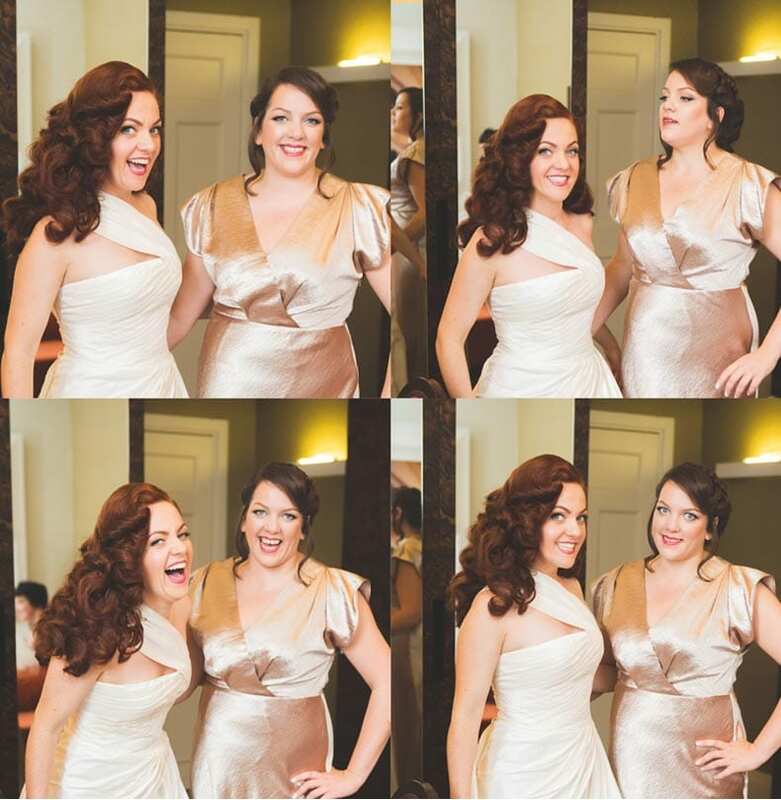 She set my hair in rollers (which took a good hour or so) and left it to do its business before tackling my make up. 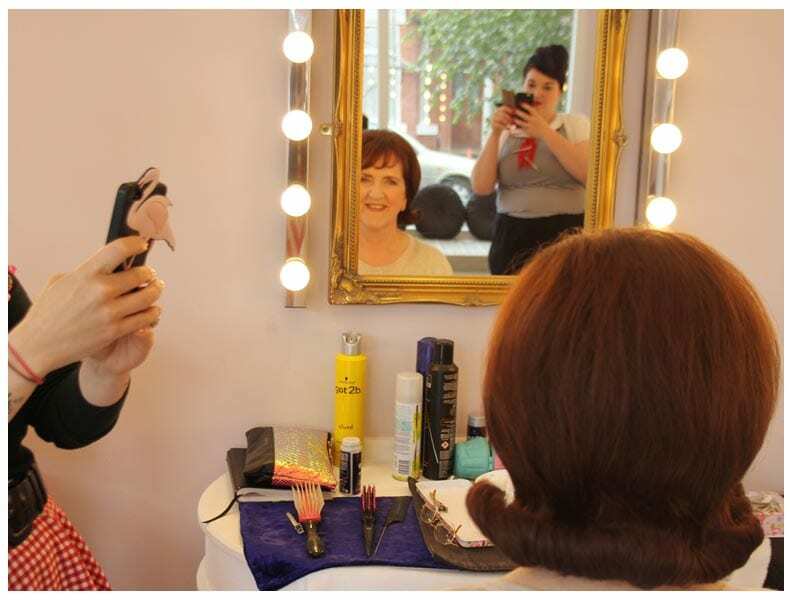 After my hair had set sufficiently Bethany then started to style, I couldn’t see how incredible she had made the Hollywood waves look at the back until the grand reveal! I couldn’t have been happier- my hair has never looked that good (and shiny)! My Make up was just right, I had wanted fairly natural warm brown eyeshadow tones and a rose pink lip. Planning: Ahead of the BIG day I sent Bethany pictures of each bridesmaid (that she hadn’t met) and we figure out a loose schedule, so that the bridesmaids knew what time to show up to my hotel suite. 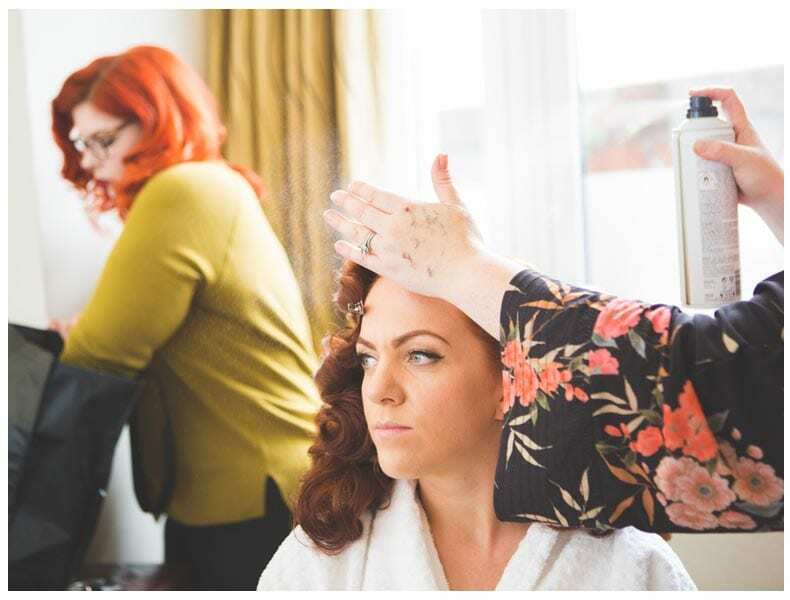 Wedding morning: Having never actually met the bridesmaids and only seen a photo along with an inspirational (ideal hair) image, the talented team from The Vintage Beauty Parlour did such an incredible job. 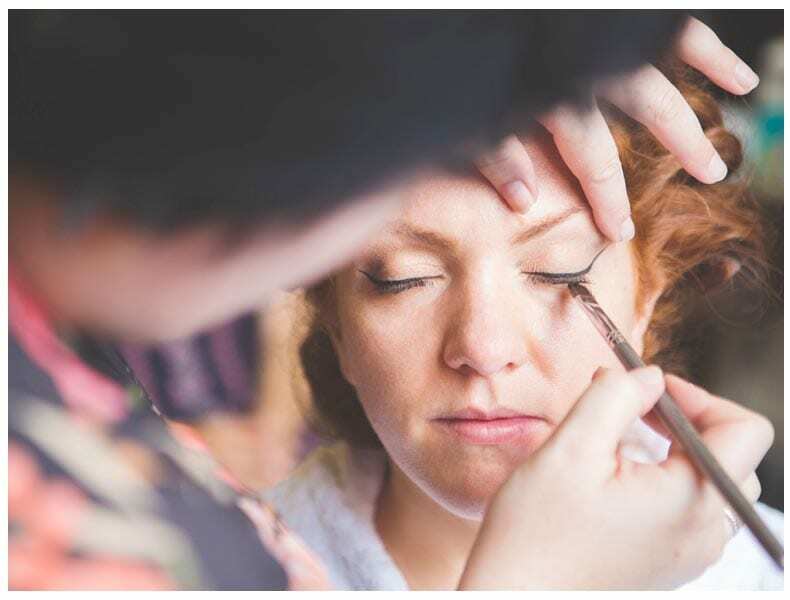 As well as supplying the gorgeous hair and make up for each bridesmaid, the team brought with them a laid back, fun energy that fitted in really well with the group. I had a bit of a mini breakout on the morning of the wedding ( I think I had bitten my lip in my sleep, and it was swollen!) thanks to Bethany telling me to get some ice on the swelling I was able to get my face back to its regular state before walking down the aisle! In the end I couldn’t have been happier with my hair and make up and thought all my bridesmaids looked beautiful. 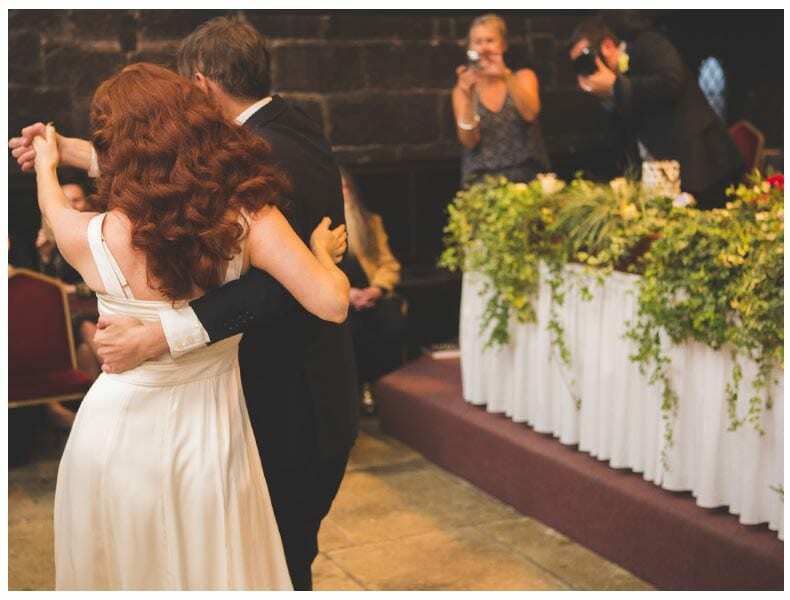 I can also confirm my hair held its shape well into the evening (looked nearly as impressive as our first dance lol)! 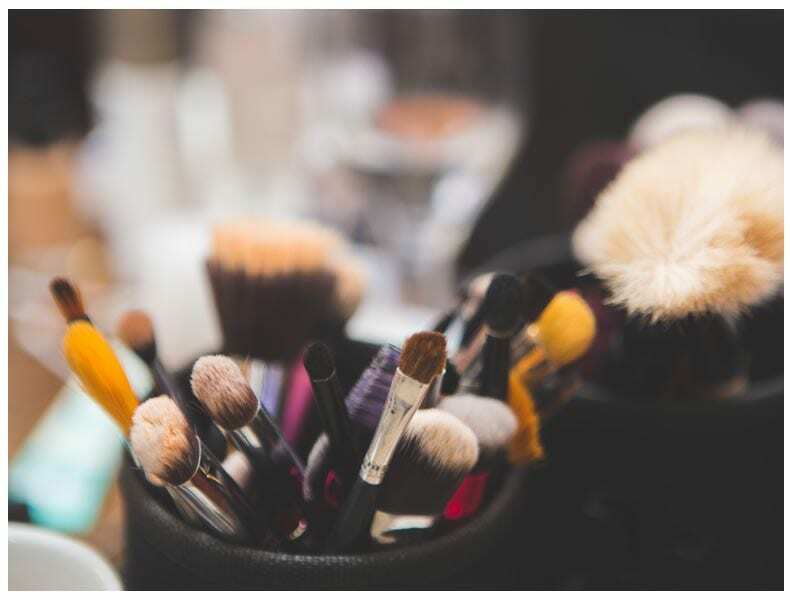 Do go for a hair trial- it helps to practice. In the end I had an appointment the day before the wedding to set my hair and save time on the morning of the wedding. Don’t panic if your skin breaks out or you weirdly chew your own lip in your sleep.